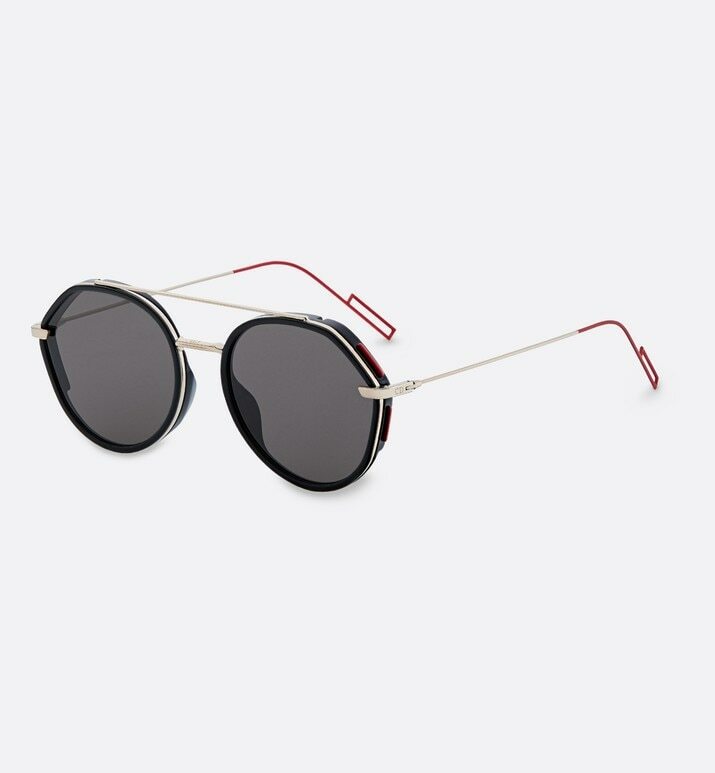 Dior0219S rounded shape sunglasses. The front in black acetate is adorned with a double bridge in light gold-tone metal. Acetate spoilers are highlighted by graphic metal details. The red lacquered temples reveal the emblematic cut.